The emerging phenomenon of cellular heterogeneity in tissue requires single-cell resolution studies. A specific challenge for suspension-based single-cell analysis is the preservation of intact cell states when single cells are isolated from tissue contexts, in order to enable downstream analyses to extract accurate, native information. We have developed DISSECT (Disaggregation for Intracellular Signaling in Single Epithelial Cells from Tissue) coupled to mass cytometry (CyTOF: Cytometry by Time-of-Flight), an experimental approach for profiling intact signaling states of single cells from epithelial tissue specimens. We have previously applied DISSECT-CyTOF to fresh mouse intestinal samples and to Formalin-Fixed, Paraffin-Embedded (FFPE) human colorectal cancer specimens. Here, we present detailed protocols for each of these procedures, as well as a new method for applying DISSECT to cryopreserved tissue slices. We present example data for using DISSECT on a cryopreserved specimen of the human colon to profile its immune and epithelial composition. 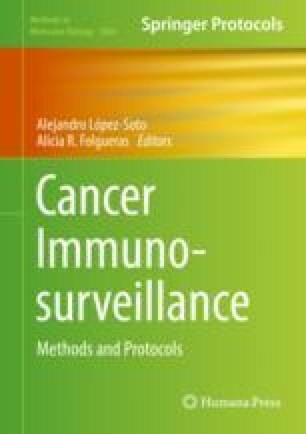 These techniques can be used for high-resolution studies for monitoring disease-related alternations in different cellular compartments using specimens stored in cryopreserved or FFPE tissue banks. This work was supported by NIH grants R01DK103831 and P50CA095103 (K.S.L., C.R.S. ), U01CA215798 (A.J.S. ), and T32AI007281 (C.R.S. ).